Showers and thunderstorms. High 68F. Winds SSW at 5 to 10 mph. Chance of rain 90%..
Showers and thundershowers early, then overcast overnight with occasional rain. Low 43F. Winds WSW at 5 to 10 mph. Chance of rain 100%. 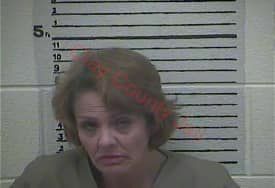 Clay County Sheriff Patrick Robinson is reporting that on April 14, 2019 at approximately 1:30 AM Clay County Sheriff Deputy Brandon Edwards arrested Michelle Mills, 50 of Flat Lick and Deniece Gatewood, 43 of Louisville. The arrest occurred on Highway 80 when Deputy Edwards initiated a traffic stop on a blue Chevy due to the fact of cancellation of license plate. When contact was made with the driver, Deputy Edwards determined she was under the influence due to totality of circumstances during field sobriety tests. Once the drivers information was ran through Clay County 911, it was confirmed her license had been suspended. 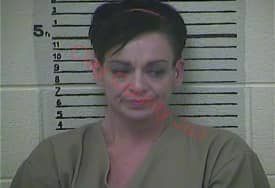 Also, it showed the driver to have two active warrants of arrest out of Knox County District Court. Also arrested on scene was the passenger for giving Deputy Edwards false name and social, the passenger also stated she had snorted Methamphetamine earlier that date. Through confirmation with Clay County Dispatch it showed the passenger had two active warrants of arrest from Jefferson County District Court. Through further investigation and search, Deputy Edwards located syringes under the seat of the passenger. The photos attached is courtesy of the Clay County Detention Center. Is land too high in Clay County?